This DNA High Performance Air Filter features a very "Special" 3D design of the sealing surface. This design in co-operation with the High quality EVA foam gasket that we have chosen is absolutely necessary for the filter to "seal" perfectly, due to the fact that the sealing surfaces of the Original BMW air box are highly "deformed". Our solution guaranties that the sealing will be perfect under all circumstances and the filter will protect the BMW engine efficiently. Installation of this DNA Air filter is very easy, simply follow the installation instructions included in the BMW workshop manual. 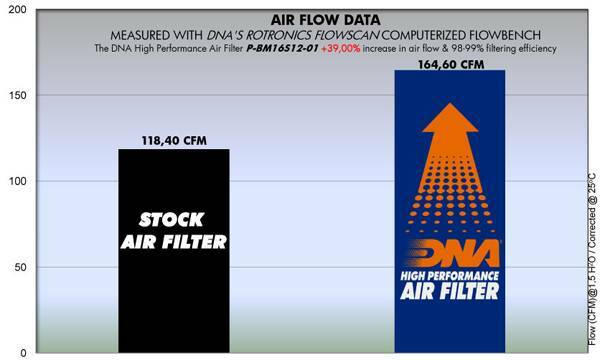 The flow of this DNA Fcd filter is very high, 39.00% more than the BMW stock paper filter! DNA Fcd air filter flow: 164.60 CFM(Cubic feet per minute) @1,5"H2O corrected @ 25degrees Celsius. 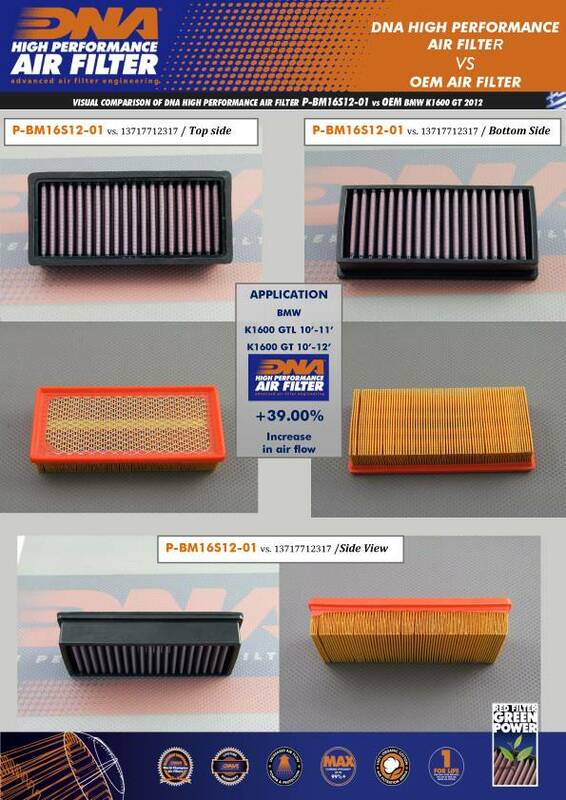 BMW stock paper filter: 118.40 CFM(Cubic feet per minute) @1,5"H2O corrected @ 25degrees Celsius. 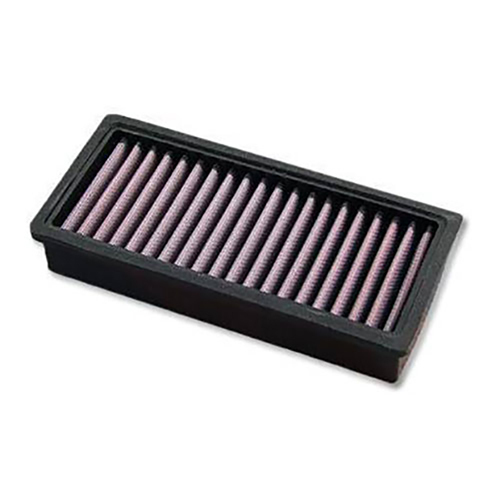 This DNA filter is designed as a High flow Air filter for: 'Road and Off road use'.